Everything for making a new sword, except the tape! A Sword length of our 1.25" Shaved Manau Rattan, 32" to 42" long. 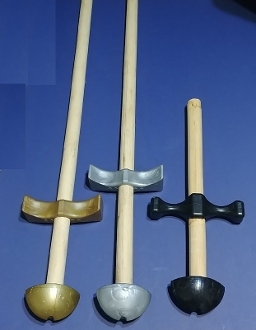 A selection of Cross Guards & Pommels from lightweight plastic to steel.